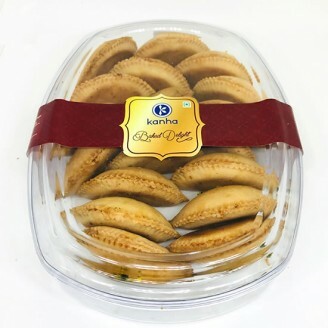 Baked Gujiyas are a sweet tempting delight for all. Also known as baked karanjis these are very similar to the fried gujiyas both in taste and appearance. Baked gujiyas are glazed with the mixture of milk and condensed milk. Serve these luscious and crispy gujiyas as a dessert after any meal or have them anytime you crave for something sweet.